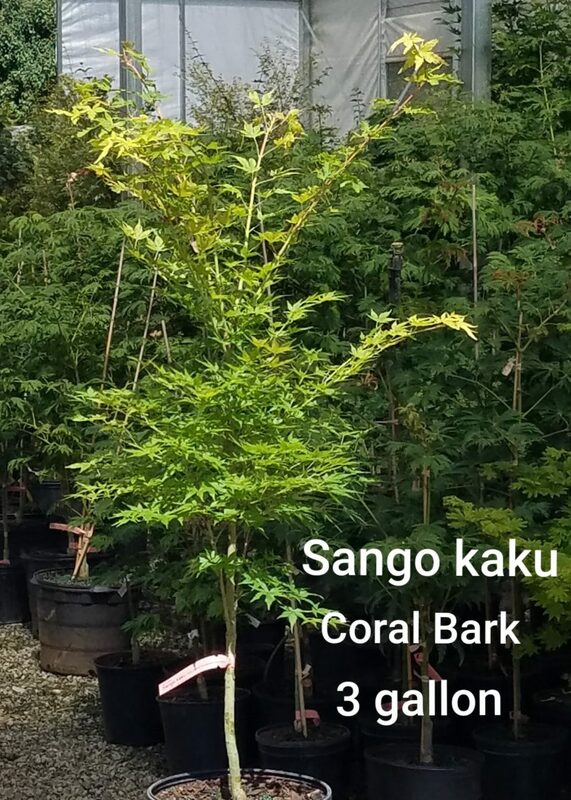 Sango kaku Coral Bark maple for sale DIRECT from the Grower! Please see full description below. 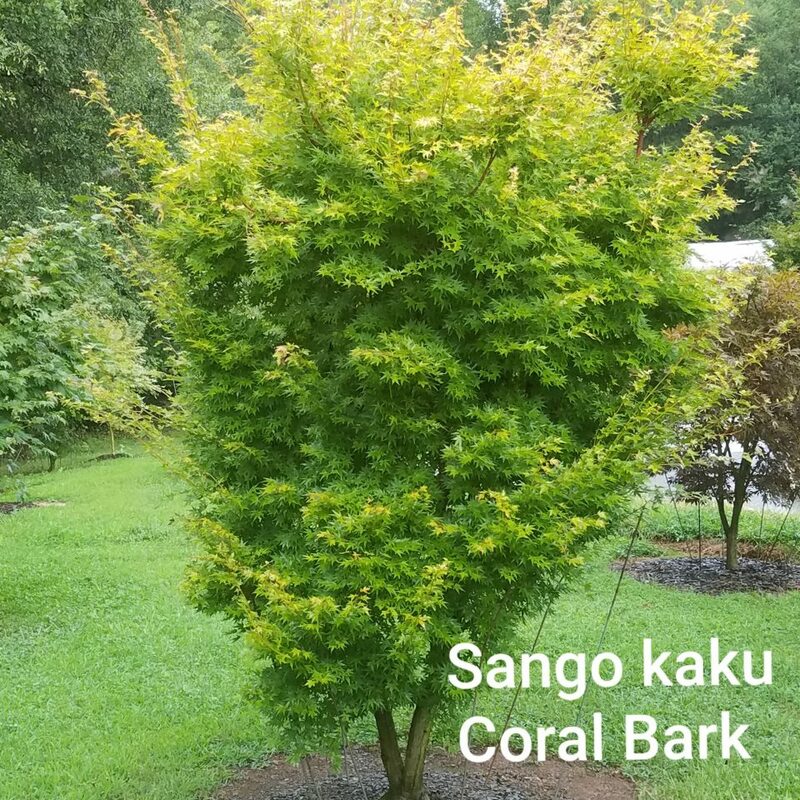 Sango kaku Coral Bark is the standard of the color bark group of Japanese maples. 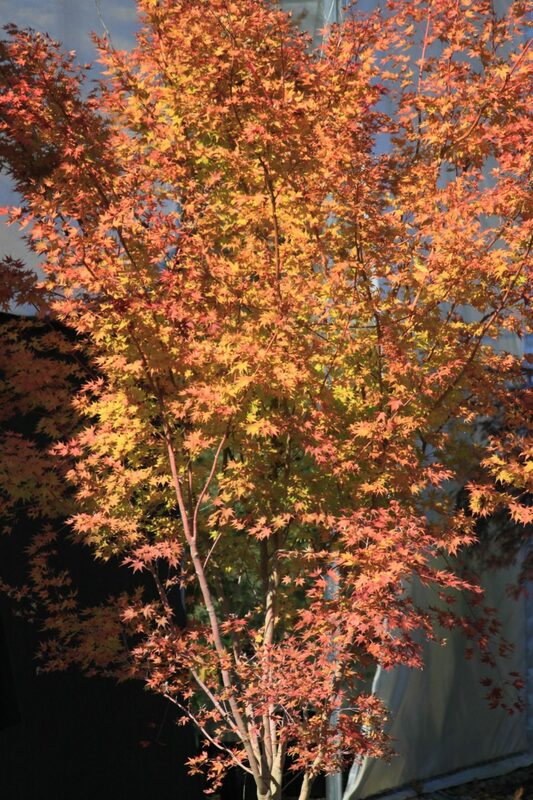 The primary feature is the red winter bark color. 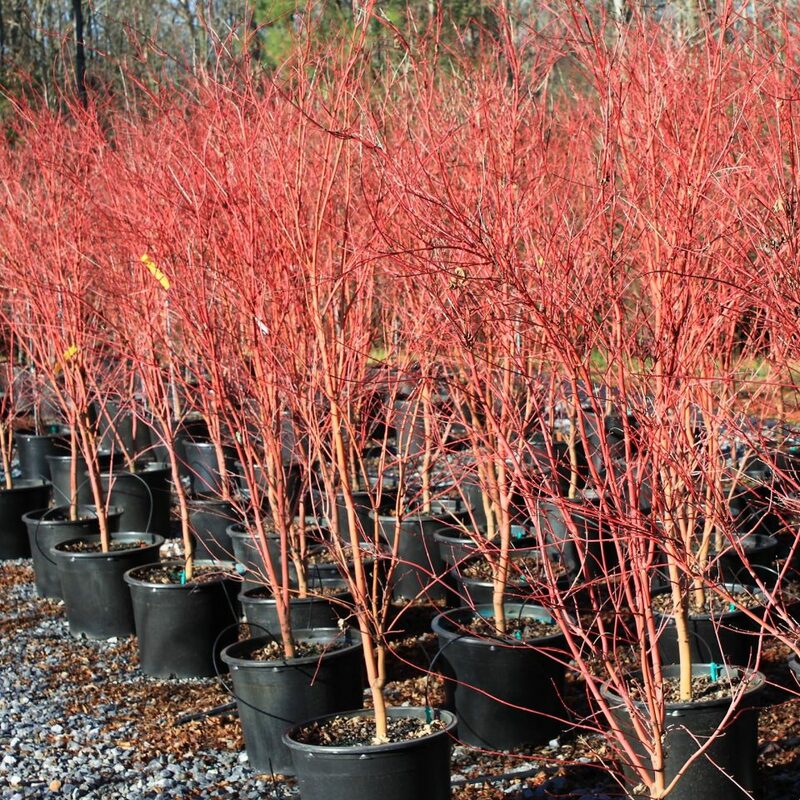 Sango kaku Coral Bark maple is a beautiful stand out in the Winter landscape, displaying bright red branches sure to brighten any day. 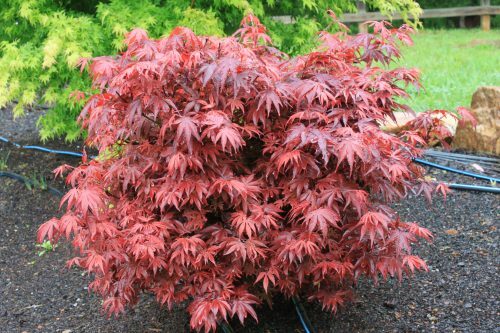 Make sure your Sango kaku Coral Bark Japanese maple is planted with good drainage. Examples of techniques for ensuring proper drainage include planting the tree in a raised bed, planting on a slope, and creating a planting mound 4 to 6 inches above the existing grade. 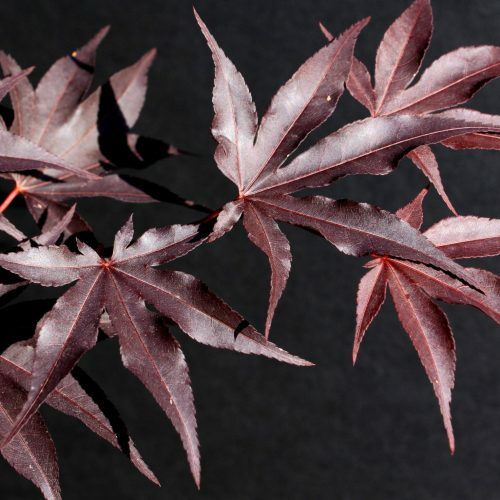 Sango kaku Coral Bark Japanese maples require moist, well drained soil. Amending the soil with organic material and adding an organic mulch over the planting area is also recommended. It is suited for sun and part sun conditions. 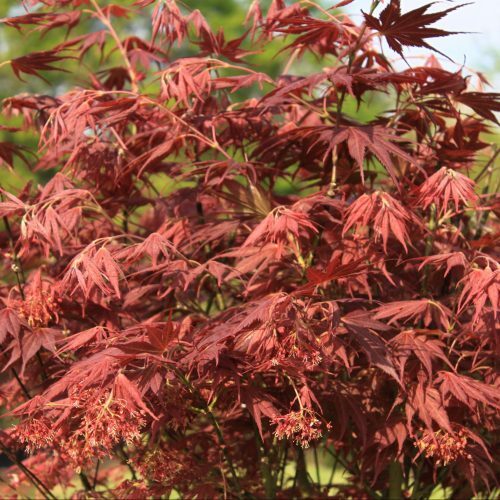 As with all of the Japanese maples we offer at Garden Design Nursery, our Sango kaku Coral Bark Japanese maples are grafted and grown by us. So many websites are just third-party companies, which never even touch or see the actual plant they are selling. 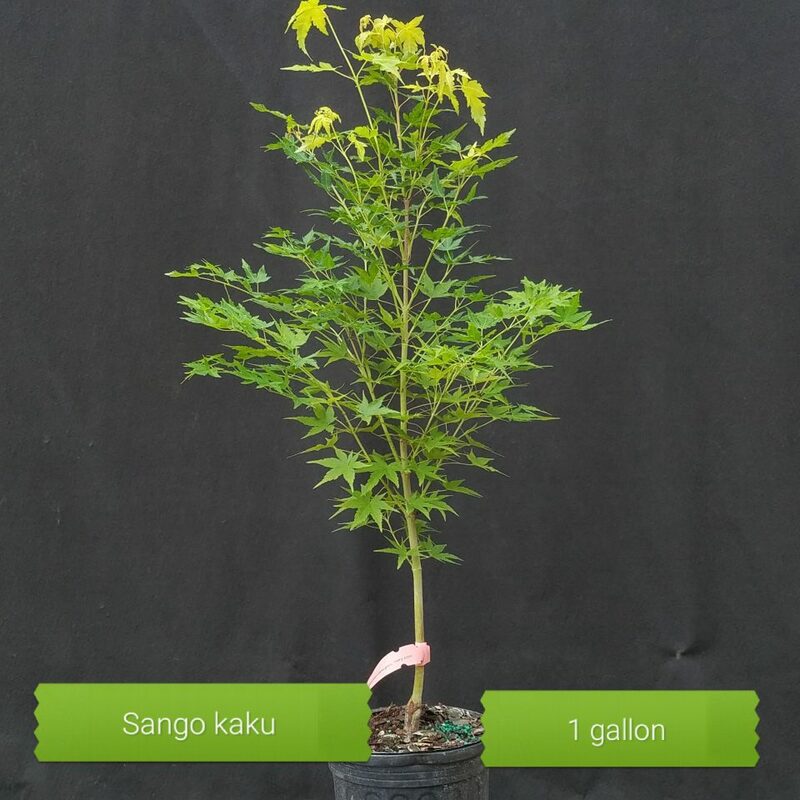 You can be assured we offer the healthiest and largest plants available on the web. Each plant is carefully selected for quality, and individually boxed with the growing container. This ensures the tree arrives with the root system intact, and allows you to plant your new tree at your convenience! For the estimated box size dimensions that the plant ships in, please click on the Additional Information tab at top of this article.